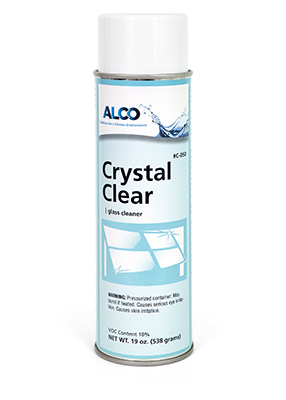 Alco Foaming Crystal Clear - Alco-Chem, Inc. Heavy duty foam window cleaner that leaves no streaks or haze. Removes dirt, grime, grease, and insect matter from glass and plexiglass.